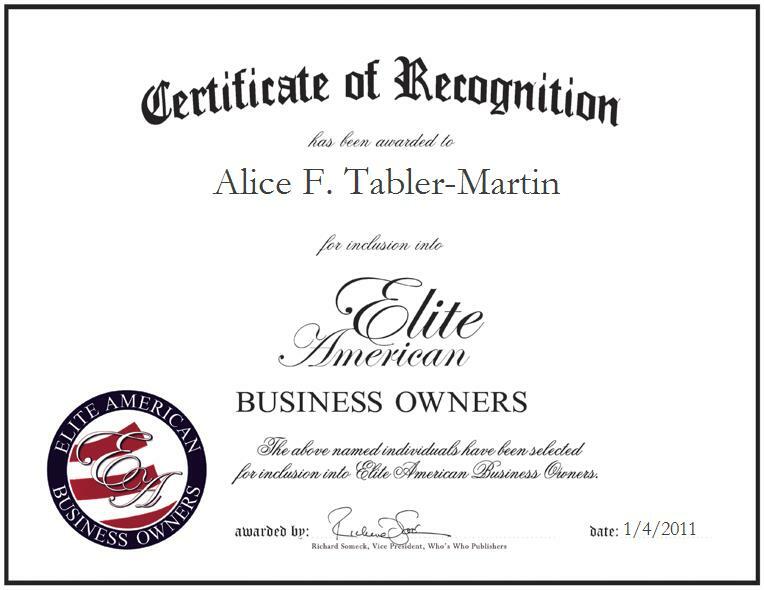 Canton, Ohio, January 4, 2011, Alice Martin, President and Chief Executive Officer of Martin Logistics, Incorporated, has been recognized by Elite American Business Owners for dedication, achievements, and leadership in logistics management. With more than two decades of professional experience, Ms. Martin has spent the last 12 working as the chief executive officer of her own logistics company. Martin Logistics, Incorporated provides freight movement services for the United States Department of Defense. By providing the hauling and transporting of governmental materials, Ms. Martin is directly able to help troops in the field — which she considers the most rewarding aspect of her career. Drawing on her past work experiences, she has been able to manage operations of the firm, headquartered in Canton, Ohio, with the ease and fluency of a seasoned entrepreneur. An expert in business management and transportation, Ms. Martin credits her vast industry successes to her hard work and the support she receives from her family. Likewise, she has gathered a cornucopia of accolades, including a Gold National Safety award and the title of “one of the fastest growing companies in the U.S.” by Inc Magazine 500/500. For Ms. Martin, her integrity and honesty have been the motivating factors for her continued success. She states that “you must be strong and driven” in order to propel your career to the next level.